In preparation for a long term project I am working on I created a 3D model of a 3-axis CNC machine in Google Sketchup and rendered it in Kerkythea. This took quite a bit of tweaking to get exactly the look that I wanted, which is the appearance of the CNC machine inside a large light tent, reducing shadows and a distracting background. I.e. the typical look used for product photos. Google Sketchup is pretty nice. 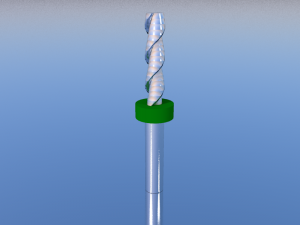 I’ve tried 3D CAD programs in the past but never really invested the time to climb the steep (for me) learning curve. 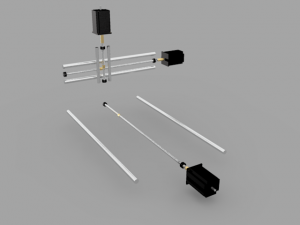 There was a bit of a learning curve with Sketchup, but once I got into the “right” way of thinking it became easy to use. 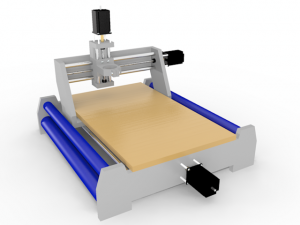 Now I use Sketchup all the time, from drawing diagrams for my CNC hobby, to modeling home projects. The one problem with Google Sketchup is, well, the output looks like a sketch. But now I’ve found a free renderer that not only has a plugin for Google Sketchup, but is just as easy to use as Sketchup. It’s called Kerkythea. 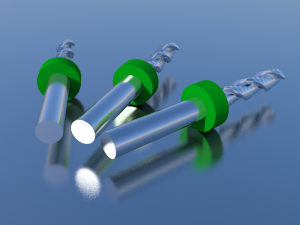 Install, run, and follow the quick start tutorial and you will be rendering your Sketchup models in less than a hour. 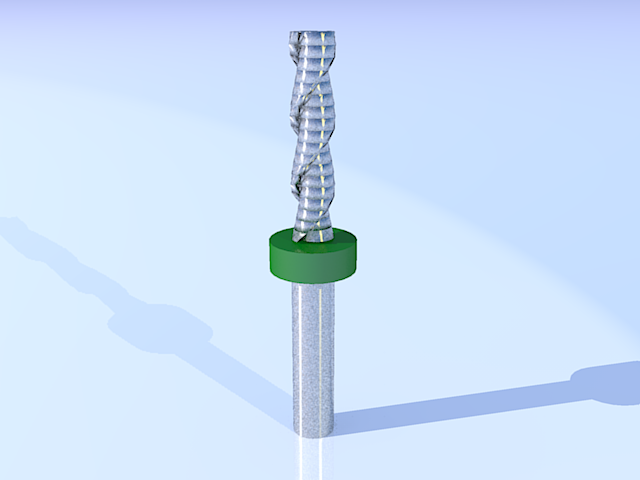 I recently decided to try and model and render some sprial up-cut and down-cut end mills in Sketchup. The results are below.